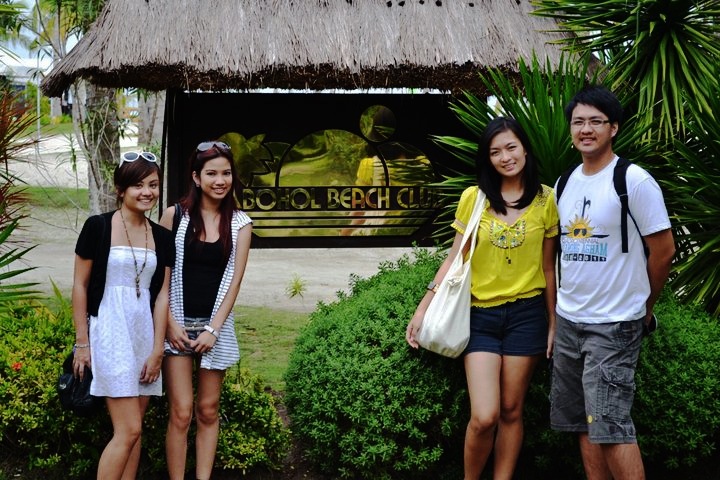 My first week of April was spent in Cebu and Bohol. 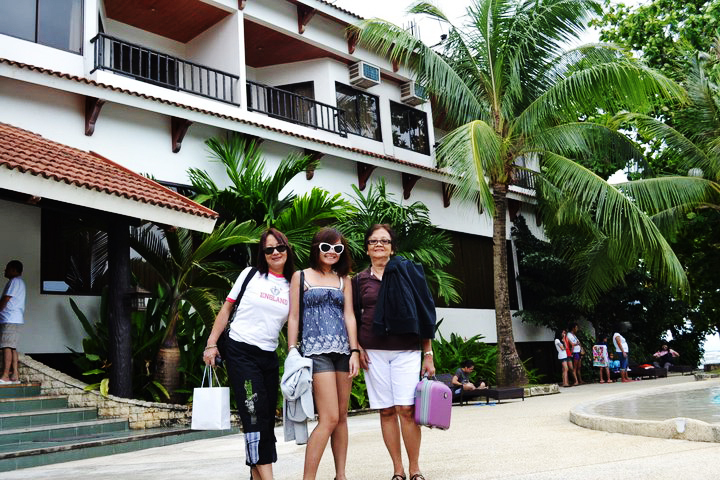 Being the huge Boracay bum that I am, I never bothered going to Cebu whenever my parents went because for me, summer meant partying the nights away at Guilly’s or Paraw. It was a relatively good thing my bestfriend Janelle was saving for the most expensive Maroon 5 concert ticket, thus leaving me with a Bora-less April. So back to the topic at hand. 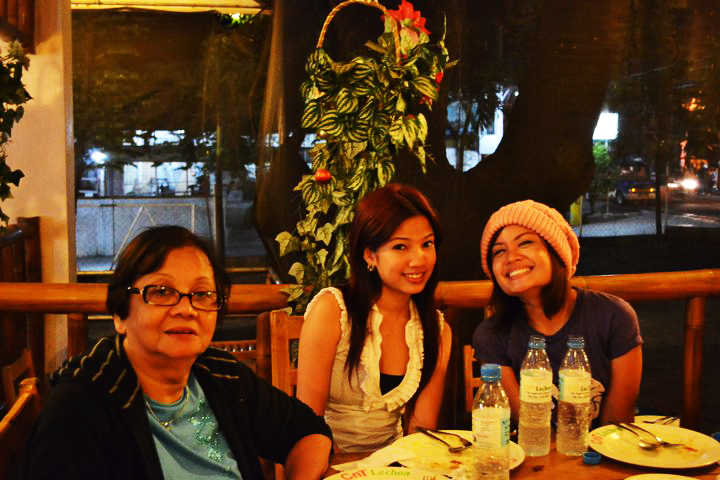 I was finally able to travel to Cebu with my parents and my lola. We got there via the Airphil Express airbus, and met up with my cousin Nikki and her family, who were based there. We stayed at the White Sands Beach Resort where, well, the sand was white 😀 The accommodations there were quite pleasant, with welcome drinks and lei (which I wasn’t able to get 😦 ). The pool and the scenery were calming, and the ambiance relaxing and homey. I don’t plan to recap our whole itinerary so I shall focus on my two main priorities which are of course: food and fun activities. 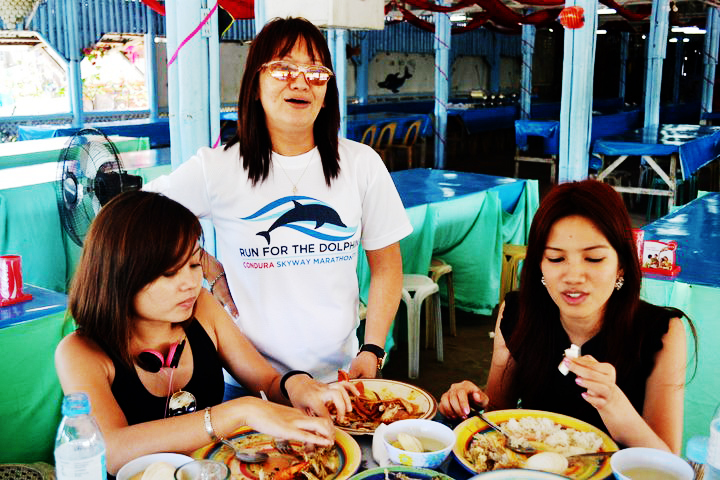 For our first day we had lunch at Sutukil in Mactan, where the seafood was DELICIOUS. 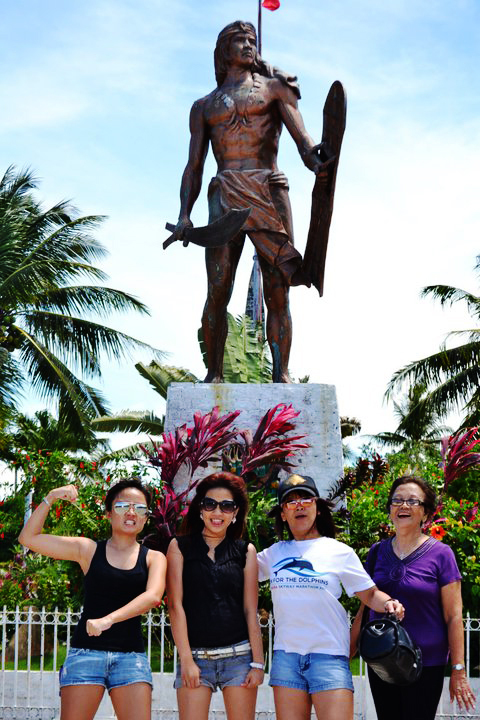 It was also right beside the Shrine of Lapulapu, so we had a bit of a photo op while walking around to relieve our very full tummies. 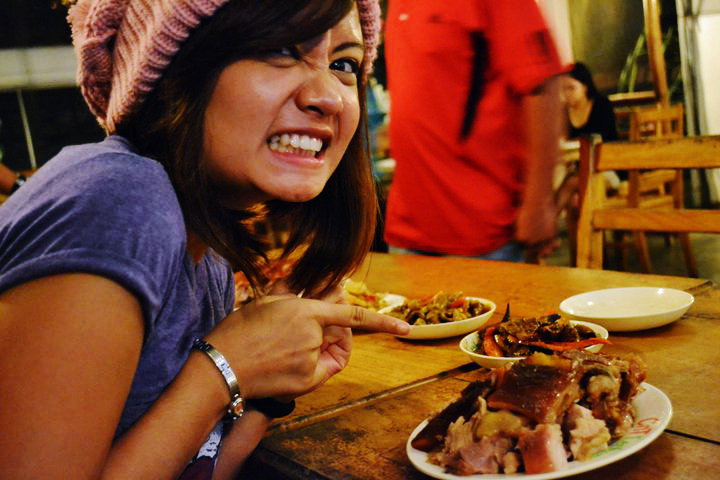 I can finish off an entire plate of this..
We were able to explore the sights and sounds of the city as well, but the one thing no one should miss out on? The Sky Experience Adventure at Crown Regency Hotel‘s Club Ultima. 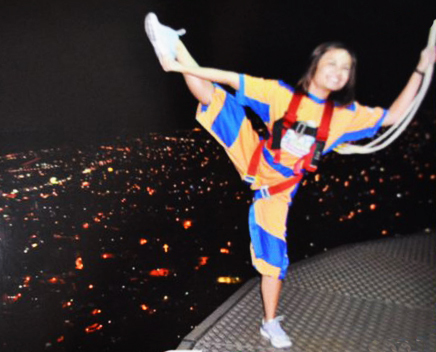 The best time to go there is at night, when the city lights are shining as you view everything from atop the tallest building in Cebu. The Sky Experience consists of the Philippines’ first Skywalk and the world’s first Edge Coaster, but they’ve recently added a zipline and a wall-climbing apparatus, both on top of the building as well. The Skywalk, located at the 37th floor (420 ft above the ground), is when you don a jumpsuit with harnesses and walk (skip, jump, lie, dance 😉 ) around the circumference of the tower, with only a metal plank of about three feet in width, to walk on. The Edge Coaster on the other hand, is on the 38th floor, and is a coaster ride around the building, facing out onto the view. Obviously, if you’re up for something exhilarating or want to conquer your fear of heights, Club Ultima’s Sky Experience is strongly recommended. Some reminders: if you feel queasy about the thought of shoe rentals, wear your rubber shoes! Nikki was wearing her sandals–she had to use their sneakers and buy socks as well. They also don’t allow you to bring your cameras (might have something to do with how high up you are if in case you suddenly drop it;) ) so be prepared to pay for pictures. The beach was seriously postcard-perfect. 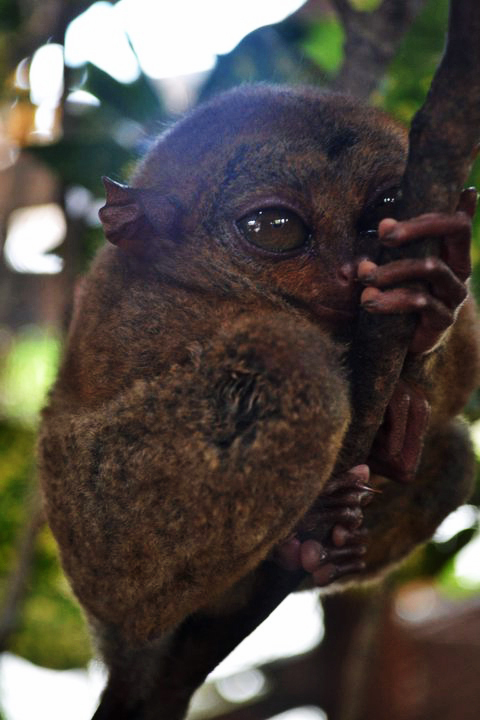 Of course a trip to Bohol won’t be complete without seeing two things: the Chocolate Hills, and the Tarsiers. I’veseen one too many pictures of both to assume that I’d be immune to the ooh’s and aah’s, but I was VERY wrong. To view the Chocolate Hills live is breathtaking. It’s such a far cry from the tall buildings and the busy, crowded streets of Manila, that standing there in full view of it all feels like you’re in a different country already. Or a different time. As for the cute little primates? They were a wonder, too. Our tour guide-slash-driver told us that they can rotate their heads 360 degrees, are very sensitive to light, and have a tendency to injure themselves or even commit suicide when they experience stress. A bit morbid, those little guys. The view from the top was BREATHTAKING. The cute little guy was as big as my fist! 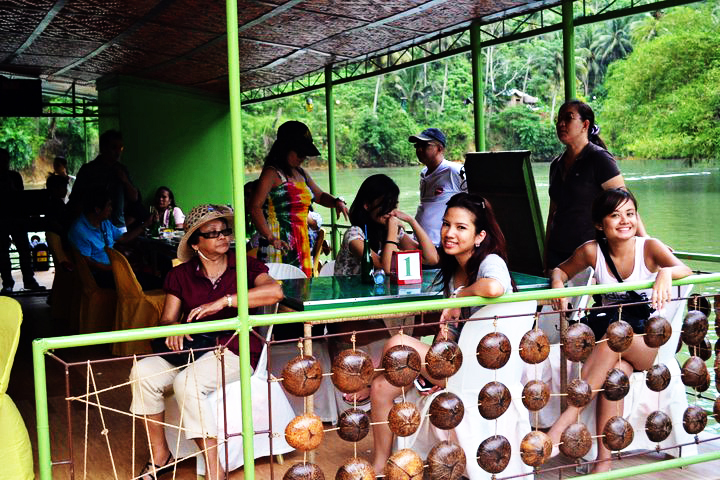 One more thing to try when in Bohol: the Loboc River Cruise. It’s basically eating a delicious buffet while cruising along a serene river with an amazing view. This is the best way to end your day if you’ve gone on a tiring tour across Bohol, trying to squeeze in as much tourist spots in your schedule as you can. The cruise helps you unwind, and the cliche “being one with nature” comes to mind, seriously. Buffet along a river – nothing short of relaxing. 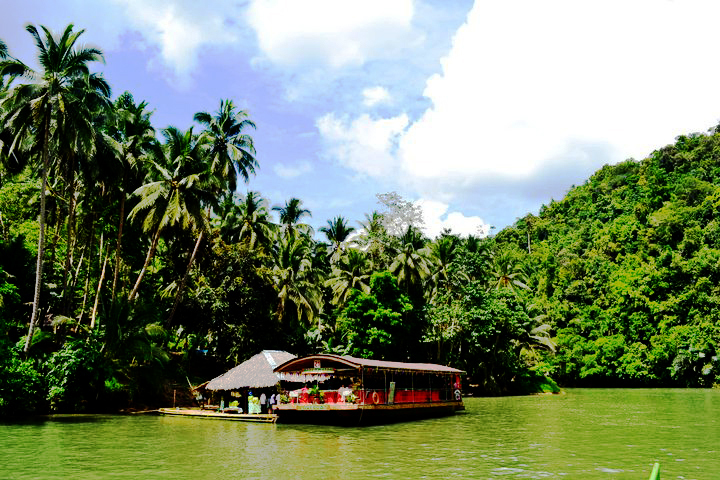 One with nature – the cliche holds true during the Loboc cruise. Nice trip! Mukhang sobrang saya… pero bat parang malunkot ka dun sa isang pic :|. book tickets already so sure na! so how is it that you can be both broke and EVERYWHERE at the same time? ikaw na ang postcard perfect.